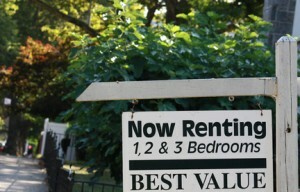 If you’ve gone to Craigslist recently to post a rental ad, then you’ve probably noticed that there are some new rules. Craigslist recently limited its formatting options for housing ads, including rental listings. These limitations affect the overall appearance of the ads, including photo quality and the ability to create a live link out to a web page that contains more information about the property or your rental business. This change has an impact on the popular practice of using Postlets or eFlyer to make a brochure-style ad that can be posted in multiple places, including Craigslist, by using HTML. The new rules also impact property managers and landlords who had been using Craigslist ads to drive traffic to their websites. Experts disagree on the reasons for the change. Some say it is to stop rule-breakers who were misusing Craigslist for marketing. Others say it is a precursor to a switch to a paid service upgrade similar to the model used for employment listings. Either way, it appears the change is here to stay, and that means rethinking how to make your Craigslist rental ads stand out against the competition. 1. The service no longer supports live links. That means viewers can no longer simply click on a link to get to a web page. Instead, the viewer will need to copy and paste the URL into their search engine. That is likely to reduce the number of people who will take the time to link over. Rather than hyperlinking words, you will now need to insert the entire URL including the “http://www.” — in order to make it easy for the reader to copy and paste. Also, keep in mind that fewer readers will link over to see information on your website, so take care to include pertinent info — like disclaimers or prequalifiers — in the text of the ad. Remember, an informative rental ad can actually help you screen tenants if you appeal to the best applicants, and discourage those who are not qualified. 2. Photos remain crucial to keeping your rental ads competitive. Use the highest quality photos you can, along with watermarks, so that formatting changes with have less impact on your ads. 3. You may have to come up with a new standard format, using the “old school” rules of a strong, bolded headline, with subheadings over text. Those headlines and subheadings need to incorporate strong key phrases that grab attention and sell your rental, because that may be all the viewer reads. Break up text so the overall appearance displays plenty of white space — a long block of text repels readers. 4. Many competing rental ad listing services are responding to the Craigslist changes by offering new formatting tools and posting services. Experiment with different services to see if they produce better results. Ask applicants how they found the ad. Be sure to track all of your efforts, including how long it takes to fill a vacancy, and the number of qualified versus unqualified applicants that each ad attracts. Previous post: Can Landlord Reveal Truth About Former Tenant?